ZZ Top and Lynyrd Skynyrd are teaming up for a tour this spring. Dubbed the Rebels & Bandoleros Tour, the shows will kick off on May 12 in Wichita, Kansas, and finish three weeks later in Orange Beach, Alabama. The two bands have been on the road together before. 11 years ago they joined forces for a tour that lasted almost a year and they also played alongside each other back in 1974, when ZZ Top invited a then up-and-coming Lynyrd Skynyrd to be part of The Outlaw Tour that year. In a prepared statement, Skynyrd's Johnny Van Zant said, "We love the guys in ZZ Top, and their music, and can't wait to get back out on the road with them. This show is an event that the fans are going to love." Billy Gibbons was similarly enthusiastic, saying, "Rebels & Bandoleros is more of a coming together of friends than a mere tour. We're delighted to be hitting the road with our Skynyrd brethren once more. It's going to be a great ride." Both bands will be touring in support of new material. 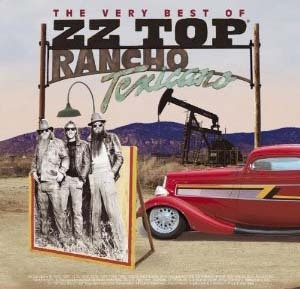 Earlier this month, ZZ Top released Texicali. The four track digital collection marks the band's first studio recordings in nine years. The collection serves as a preview of the band's forthcoming album. No release date has been announced for the full-length studio album, which remains untitled, but a late summer or early fall release is expected. The four tracks that comprise Texicali, like the forthcoming album, were produced by Rick Rubin and the band's Billy F Gibbons and include "I Gotsta Get Paid", "Chartreuse", "Over You" and "Consumption". Lynyrd Skynyrd will tour in support of their forthcoming album, Last Of A Dying Breed. The band's thirteenth studio effort is scheduled to hit stores on August 21. The new album marks a reunion with producer Bob Marlette, who produced the band's last release, 2009′s Gods & Guns. "We had a lot of fun and the music really flowed for us, so that's when you know you are onto something good," said guitarist Gary Rossington in a press release. "We can't wait to let the fans hear these songs and play 'em live."